Gran Cucina artichoke with tuna cream, ideal for appetizers, spreads on toasts or canapes, blends very well with tomatos or other vegetables. Can also be used as part of your favorite spaghetti sauce or together with extra virgine olive oil to make your pasta delicious. 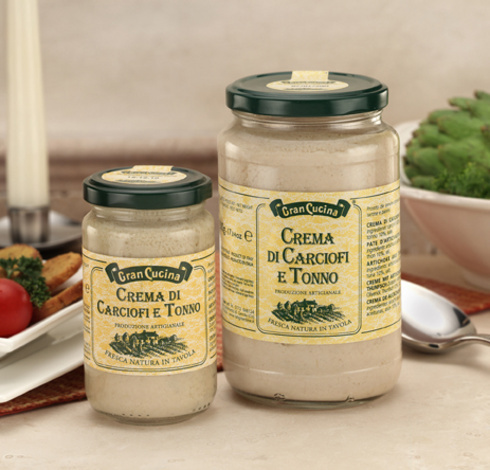 Gran Cucina artichoke with tuna cream comes in 6.35 oz and 17.6 oz jars. Artichoke with Tuna Cream 6.35 oz. Artichoke and Tuna Cream 17.6 oz.